The Canadian low-cost operation from WestJet, Swoop has confirmed it plans to start a season link to Las Vegas from Kelowna this year. The service from Kelowna International Airport (YLW) to Las Vegas McCarran International Airport (LAS) is scheduled to operate between 27th June and 26th October 2019. The service will run twice a week, on Thursdays and Sundays and will be on one of the airlines Boeing 737-800 NG aircraft. "Las Vegas and Swoop make the perfect combination for Kelowna travellers," said Karen McIsaac, Senior Advisor of Communications for Swoop. "Our flights are non-stop and remarkably affordable, encouraging the freedom to fly more often while leaving more money to spend on the experience." 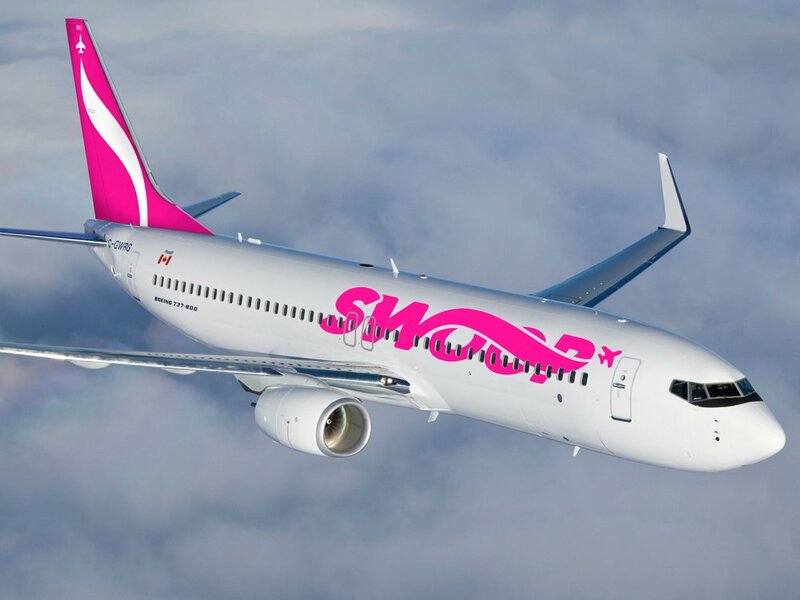 "We are excited to announce a second destination with Swoop," said Sam Samaddar, Airport Director for Kelowna International Airport. "We've heard from the community that they want more non-stop destinations from Kelowna. We're pleased to have Swoop offer non-stop service to Las Vegas, which is the Okanagan's single largest U.S. market for travel." "We are excited to welcome Swoop's non-stop flights between Kelowna and Las Vegas," said Chris Jones, Chief Marketing Officer for McCarran International Airport. "With this new route, Swoop is making it easier for more Canadians to visit the Entertainment Capital of the World."